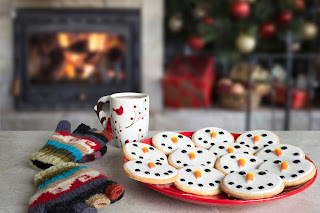 Santa Claus is coming to town in just a few days and there is still so much to do! 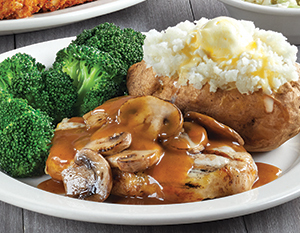 While you're finishing up your Christmas preparations, let us take care of your dinner plans. 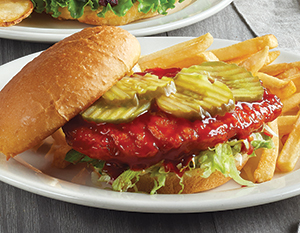 We hope this coupon for $3 off your $20 online order will help to get your holiday off to a jolly start! 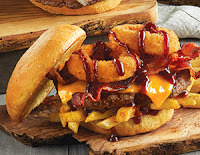 $3 Off Your Next $20 Online Order! To redeem this offer, enter the coupon code "GIFTS" during checkout when you place your online order. Coupon code valid Thursday, December 20 - Monday, December 24, 2018. The holidays are upon us and we’ll be operating under a special schedule this week so that our wonderful team members can spend the season with their loved ones. Read on to get all the details so you can plan your holiday gathering accordingly! Santa Claus is coming to town and we will be closing up shop at 3PM on Christmas Eve so we can go to sleep extra early! We will also be closed on Christmas Day and will resume normal hours on December 26. 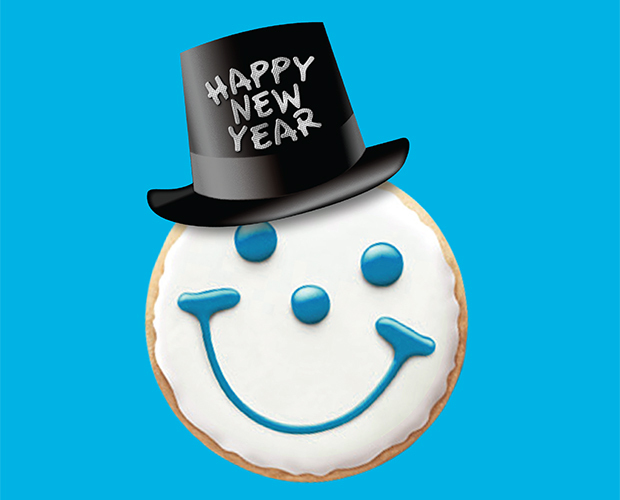 Our 24-hour locations will reopen at 6AM. To help our team members celebrate the start of the New Year, all of our locations will close at 9PM on December 31 and will reopen at their normal time on January 1. Our 24-hour locations will reopen at 6AM. Put down the Fruit Cake and give your guests what they really want this holiday season… dessert from Eat’n Park! 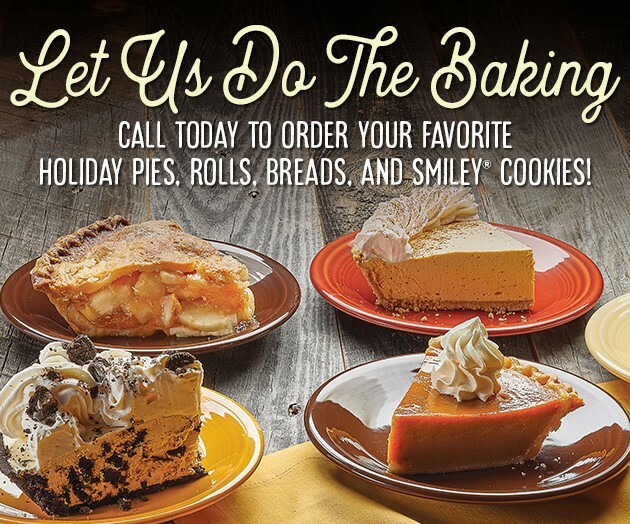 For starters, our fresh-baked pies come in a wide variety of flavors including Oreo Crème, Coconut Crème, Apple, and more. Right now, you can even pick up an entire Apple Cranberry Pie for only 10.99! 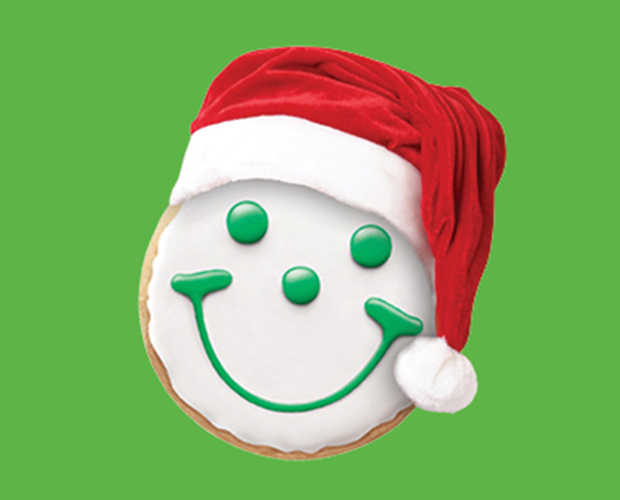 Did you know that Santa loves Smiley Cookies? Our Snowman Smiley Cookies are sure to put a smile on Santa’s face after his long journey from the North Pole. 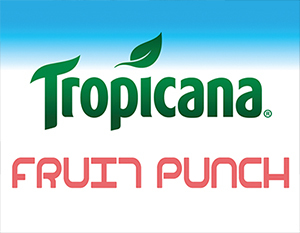 Pick up a dozen today for only $6.99! Don’t forget – we also have homemade breads, rolls, and buns for you to enjoy around the table. Click here to download our bakery order form then call ahead to your local Eat’n Park to place your bakery order today! 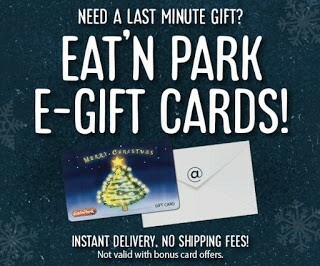 No matter how ready you think you are for Christmas, there is always that one person you forgot to buy for… Cue Eat’n Park E-Gift Cards! What can we say, we make gift-giving easy! Click here to send your e-gift card now. The results are in! 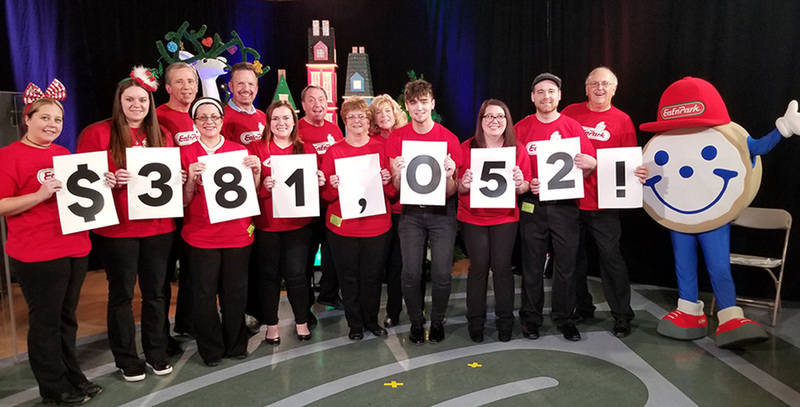 Our team members have wrapped up our 40th annual Caring for Kids campaign, with results that are nothing short of amazing. Diana S. of Luthersburg, PA, got a special holiday surprise on Wednesday when her ticket was drawn by Keimon and Porter, who are patients at the Children’s Hospital of Pittsburgh of UPMC. 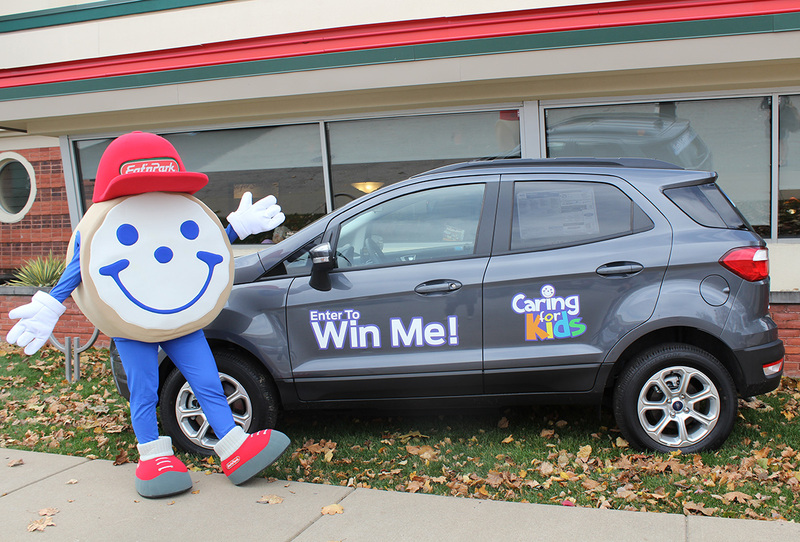 The winning ticket was purchased from our team at our DuBois Eat’n Park. Congratulations, Diana! 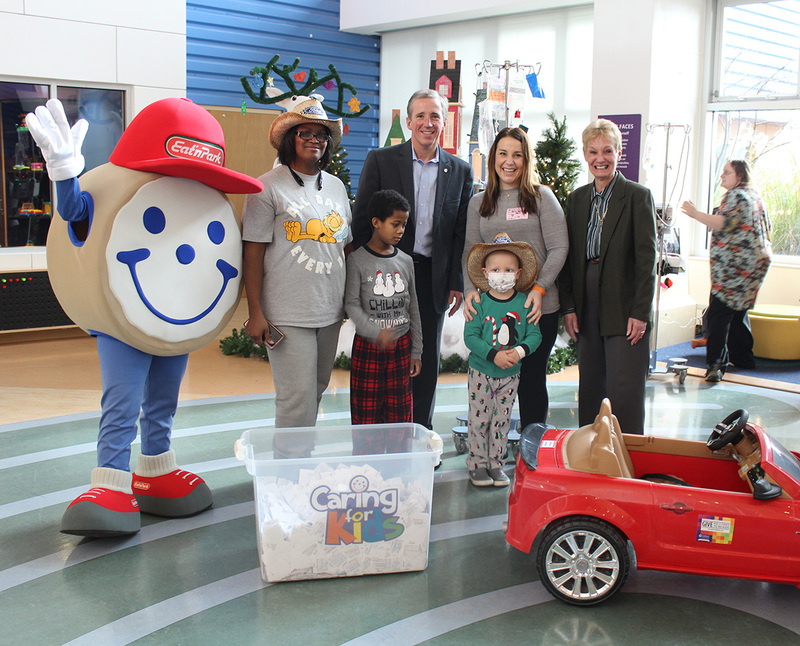 It's time to reveal the results of our Caring for Kids Car Raffle! 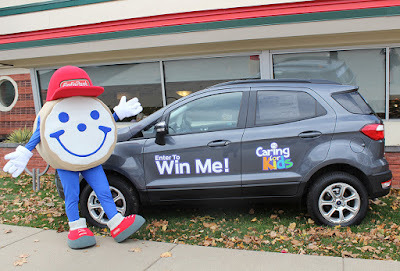 The lucky winner of the 2018 Ford EcoSport--so generously donated by Neighborhood Ford Store--is Diana S. of Luthersburg, PA.
Diana’s winning ticket (number 104268) was randomly selected by our friends Keimon and Porter, who are patients at the Children’s Hospital of Pittsburgh of UPMC. More than 37,000 tickets were purchased to benefit our Caring for Kids campaign. Diana will be receiving the keys to her new vehicle in the upcoming weeks. You can call us Santa, because we’ve got a few early Christmas presents for you! For starters, we’ve filled our menu with new items that are sure to help you have a holly, jolly holiday. 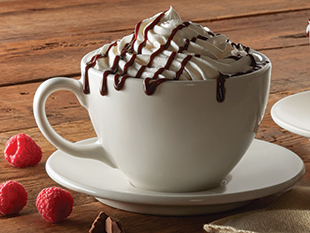 And now for our next surprise… Enjoy this new coupon for $3 off any $20 purchase! Coupon valid December 10-16, 2018. 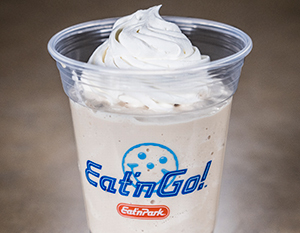 We’re adding an Eat’n Park favorite to our Lunch Deal of the Day lineup! Every day from 11am-4pm*, we feature a different delicious dish from our menu that you can enjoy with your choice of one side for a special price. On Monday, you can now enjoy our Buffalo Chicken Wrap during this time for only 7.99. (Don’t forget the Ranch!) 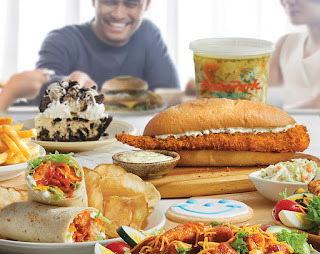 Check out our full Lunch Deal schedule so you can start planning your next lunch outing today! Did you know that you can enjoy our Salad Bar Dinner Deals whenever our Soup, Salad & Fruit Bar is open? That’s right – starting at 11:30AM, when our Salad Bar opens, you can enjoy any of these delicious dinners, paired with our endless Salad Bar for only 11.49! If we could, we'd put our handmade bruschetta on everything. Try it served on our herb-crusted baked chicken breasts and finished with a balsamic glaze and Asiago cheese. We serve it with our Soup, Salad & Fruit Bar, your choice of one side, and bakery-fresh rolls! A delicious classic in every way, enjoy 4 breaded tenderloins fried to perfection! Enjoy them tossed in Buffalo sauce or served with your choice of BBQ, Honey Mustard, or homemade Ranch. It’s served with your choice of one side, bakery-fresh rolls, and our Soup, Salad & Fruit Bar! A meal that feels like home! 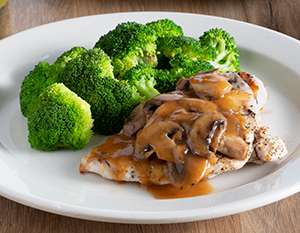 Enjoy our tender boneless chicken breast, seasoned with rosemary and black pepper, then topped with sautéed mushrooms and a scrumptious white wine sauce. We serve it with your choice of one side, bakery-fresh rolls and our Soup, Salad & Fruit Bar! Calling all seafood lovers! 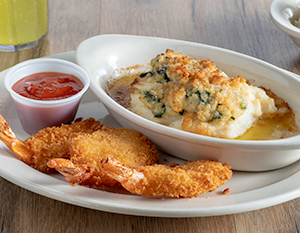 Enjoy our oven-baked cod stuffed with our homemade blend of crab meat, shrimp, spinach, onions, cheddar cheese, and cracker crumbs. We serve it with our Soup, Salad & Fruit Bar, your choice of one side, and our bakery-fresh rolls. 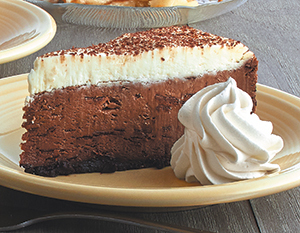 Craving comfort? Enjoy our ziti baked with sliced Italian sausage, marinara sauce, and mozzarella cheese. It’s served with your choice of one side and garlic toast. 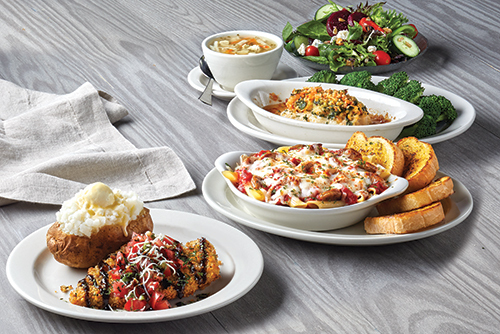 For those who want it all, our Premium Salad Bar Dinner Deals are the way to go. Enjoy any one of the following dishes, paired with our Soup, Salad & Fruit Bar, for a special price! Treat yourself to two of our herb-crusted baked chicken breasts topped with our homemade bruschetta and finished with a balsamic glaze and Asiago cheese. We serve it with our Soup, Salad & Fruit Bar, your choice of one side, and bakery-fresh rolls! Why have 4 breaded tenderloins fried to perfection, when you can have 5? Enjoy them tossed in Buffalo sauce or served with your choice of BBQ, Honey Mustard, or homemade Ranch. It’s served with your choice of one side, bakery-fresh rolls, and our Soup, Salad & Fruit Bar! Enjoy two tender boneless chicken breasts, seasoned with rosemary and black pepper, then topped with sautéed mushrooms and a scrumptious white wine sauce. We serve it with your choice of one side, bakery-fresh rolls and our Soup, Salad & Fruit Bar! A perfect pairing! Enjoy our Nantucket Cod served with three crispy butterflied shrimp tossed in OLD BAY® Seasoning. 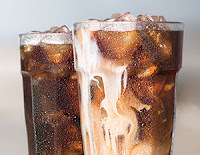 It’s served with a side of cocktail sauce, your choice of one side, our Soup, Salad & Fruit Bar, and bakery-fresh rolls!